< Boom Boom Jones Announces New Singer and Name Change! 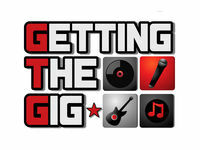 Getting The Gig, a Maryland based Entertainment Agency, is expanding and currently seeking an experienced Booking Agent. The candidate would match known open dates for Musicians to opportunities at events, private parties, festivals, fairs, nights clubs and other engagements as well as the inverse scenario. The candidate would interact with both Purchaser and Band Leader to negotiate suitable terms and then confirm with an Engagement Agreement. The Agent would conduct post mortem activity on the engagement and provide feedback as required, to continuously guide the Musician or Venue to improve their product, service and assets. The Agent would recognize trends in the Music Industry and continuously seek out the best of breed acts to meet the demands of the Market. an in-depth understanding of the details and challenges associated with live music, band dynamics, production, venue characteristics and logistics. The ability to communicate, build and maintain a professional relationship with both artistic and business-minded personalities of various ages 20’s-60’s. Ability to assess value in the Entertainment Business. Ability to communicate effectively using phone, text, email and in-person dialog. Ability to prioritize activities and understand urgency. Ability to work in a fast-paced sales and/or customer service environment. Understand when to send an email, when to text, when to call or when to meet in person for proper communication. Ability to recognize a lead, pursue it and follow through until conclusion. Prior experience in the Mid-Atlantic Entertainment Industry either as a Point Of Contact for an Entertainer, a Venue, an Event or an Organization that hires entertainers. Absolutely MUST HAVE PRIOR EXPERIENCE booking entertainment as either Purchaser or Artist. Currently living in the Maryland, Northern Virginia, Pennsylvania, New Jersey market. Must have smart phone, tablet and or laptop with modern OS that can host Tools listed above. Must have immediate availability and be accessible 7 days per week on as-needed basis. Total compensation is the sum of a bonus based on commission of sales along with a minimal wage based on experience.